DUBAI, UAE —The Emirates Airline signed a strategic partnership agreement with Airservices Australia on planning, developing and using flexible air routes between Dubai and Australia on June 9, 2004. 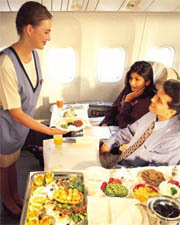 Prior to the agreement all flights were flown permanent routes in compliance with air traffic regulations. The agreement was signed at the conclusion of the exhibition on the construction and automation of airports held in Dubai with the participation of 130 exhibitors among them was the Airservices Australia. Experts from Emirates and Airservice Australia, a governmental organization in charge of the safety and efficiency of air traffic in Australian space, developed a unique package of working plans that would allow the Emirates Airline to choose the suitable route for each of its flights between Dubai and Australia according to weather conditions and wind movement during the flight. The facility will enable the Emirates to improve flight efficiency, reduce fuel consumption, lessen exhaust and gas emissions, and contribute to limit damages to the environment. 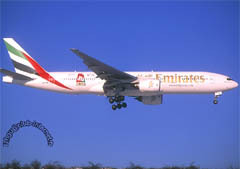 The spokesman said that by August 15 Emirate's flights to Australia would reach 34 per week of which 27 would continue their flights to New Zealand. Dubai based Emirates Airline is one of the fastest growing full-service intercontinental airlines in the world and has received more than 200 international awards for excellence since its launch in 1985. The official international airline of the United Arab Emirates (UAE) currently flies to more than 70 destinations including Seoul around the globe.